This is a special one-hour long Outbeat Youth segment and the last Outbeat Now! program. We welcomed back Marsha Aizumi and her transgender son Aiden who talked about Marsha’s new book “Two Spirits, One Heart.” This book tells the story of Marsha’s unconditional love for her son as he first came out as a lesbian and then transitioned to the man he is today. 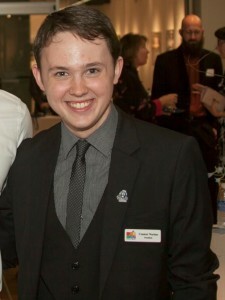 We also welcomed back Connor Norton who was honored this last fall by the Matthew Shepard Foundation for his activism work in his home town of Virginia Beach and at his college, Old Dominion University. He is an amazing young man who is making a real difference in his community.